Crowdsourced Cabernet Sauvignon Archives - Write for Wine: It's Wine O'Clock Somewhere!Write for Wine: It's Wine O'Clock Somewhere! 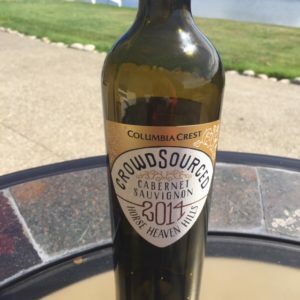 Word first came out two years ago that Columbia Crest was planning to become the first winery in the world to crowdsource a wine through an interactive online experience. A new website, Crowdsourced Cabernet, was launched, so voters could make decisions through every step of creating the wine — bud break, harvest, fermentation, the final blend and the label. The two-year journey began when Columbia Crest’s head winemaker, Juan Muñoz-Oca, chose a five-acre estate block in one of his best vineyards, which is used for his highly acclaimed reserve program. The vineyard can be seen in a series of YouTube videos made during the crowdsourcing program. Throughout the process, he educated and guided the crowd, explaining how much water to apply to the vines, how the temperature impacts harvest and other key factors needed in winemaking decisions. Voters were then given a series of choices to make. Ultimately, they decided harvesting should take place at night, the wine should be created with a lot of complexity and soft tannins, and be aged 16 months in 30% new oak barrels. But the program isn’t over. Columbia Crest is embarking on another journey for the 2015 vintage of Crowdsourced Cabernet. 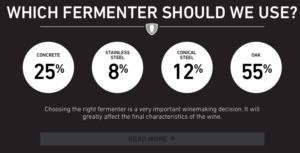 Decisions are still in progress so if you are interested, you can place your votes on the website, Crowdsourced Cabernet. You can also follow #crowdsourcedcabernet on Twitter and Instagram. We enjoyed our glasses of this one-of-a-kind Cab Sauv on the deck, as pictured above and on Instagram. As expected with a new release, the wine was a bit tight when we opened the bottle, but after some decanting, the flavors developed into one delightful sip after another. Thanks to Columbia Crest for sending us a sample.